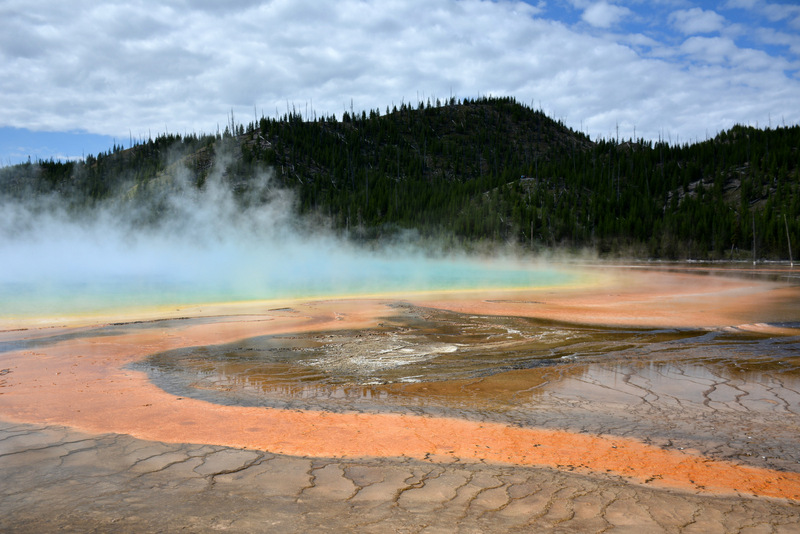 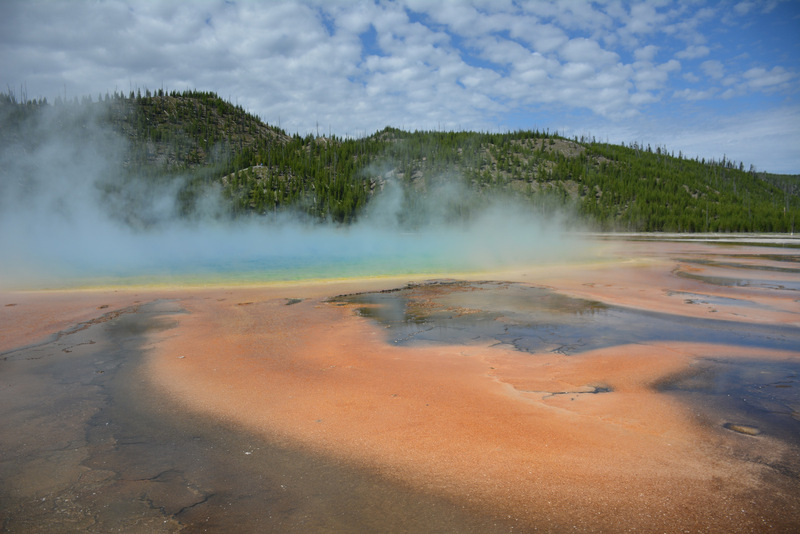 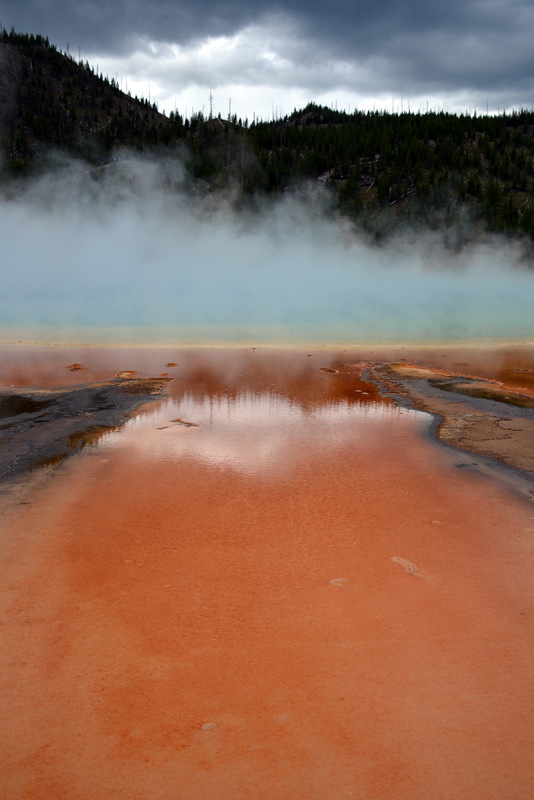 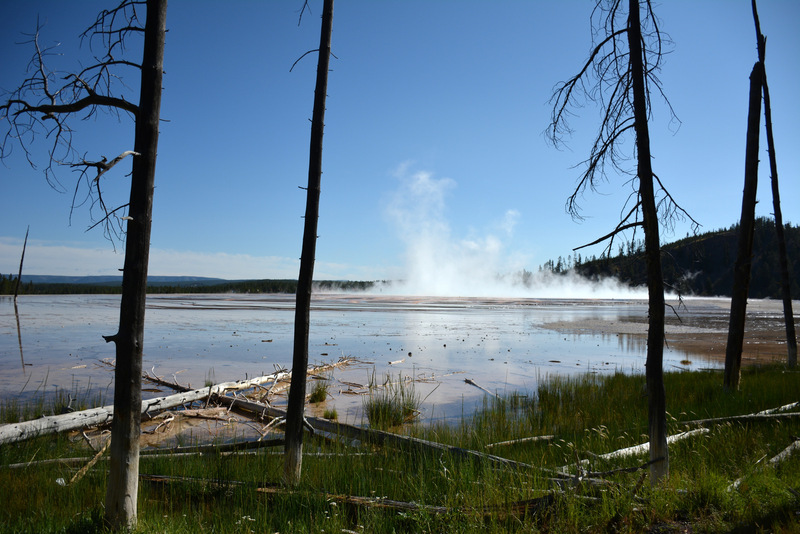 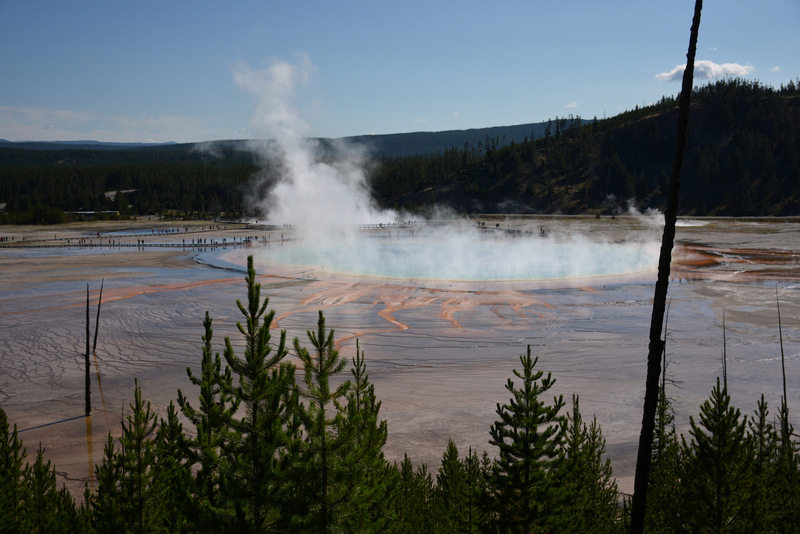 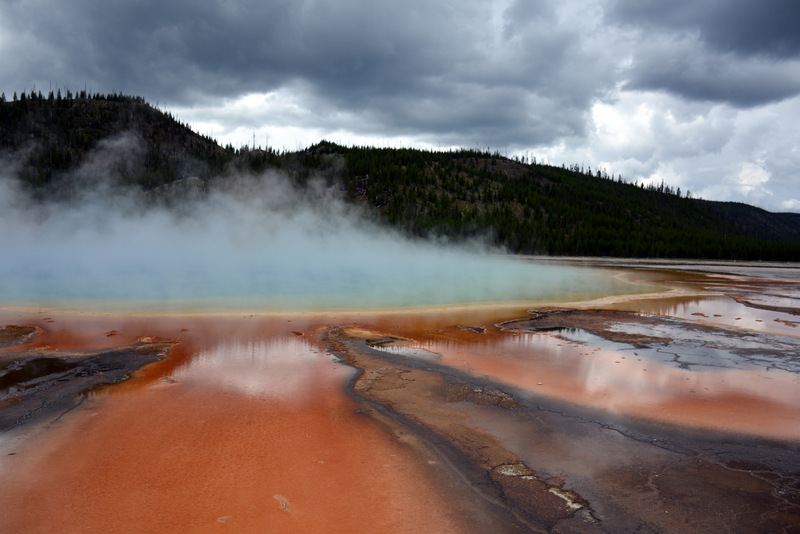 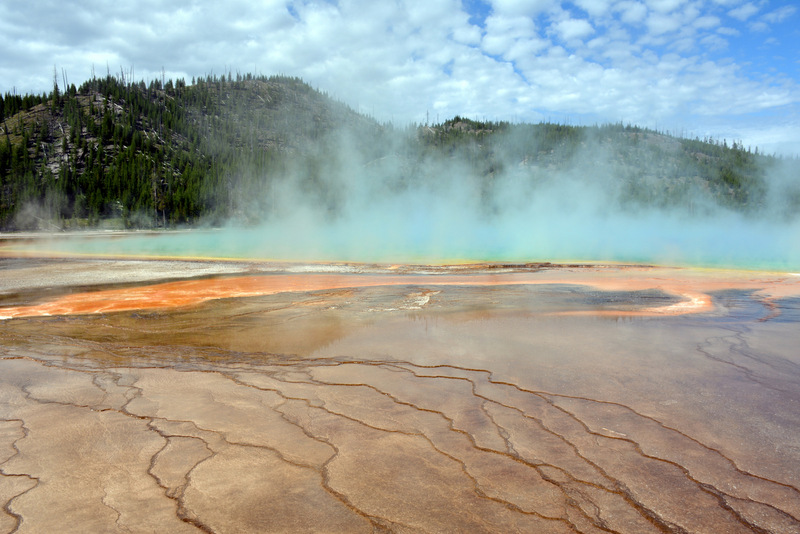 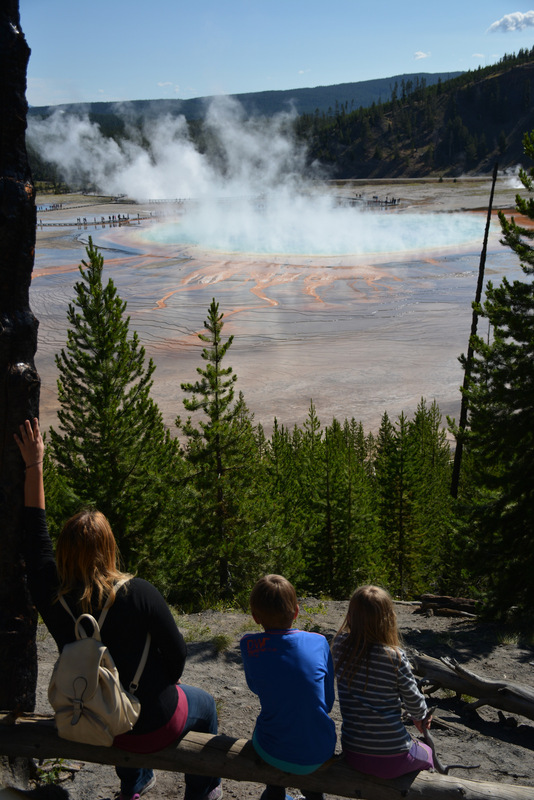 Grand Prismatic Spring is one of the prettiest geysers of Yellowstone. 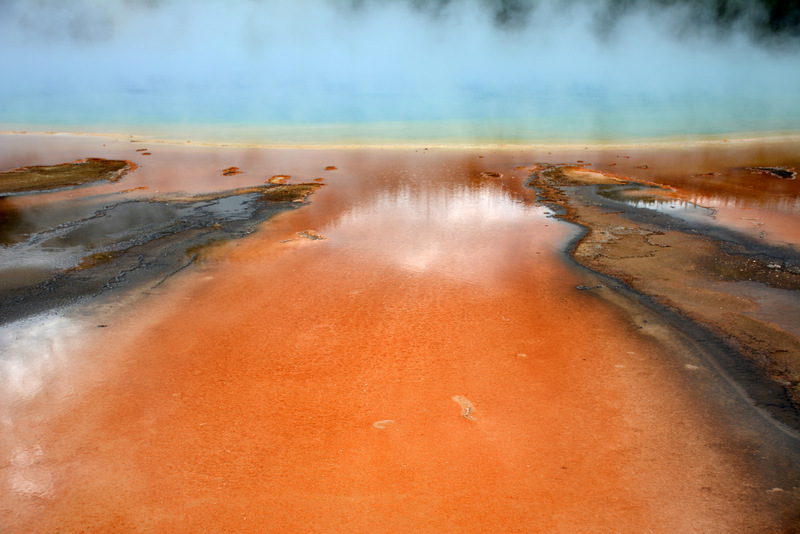 Shape of the sun, brilliant colors, contrast between sunny orange and earthy brown… Those colors are created by different microorganisms and the difference in coloring actually tells about different water temperature in which they live. 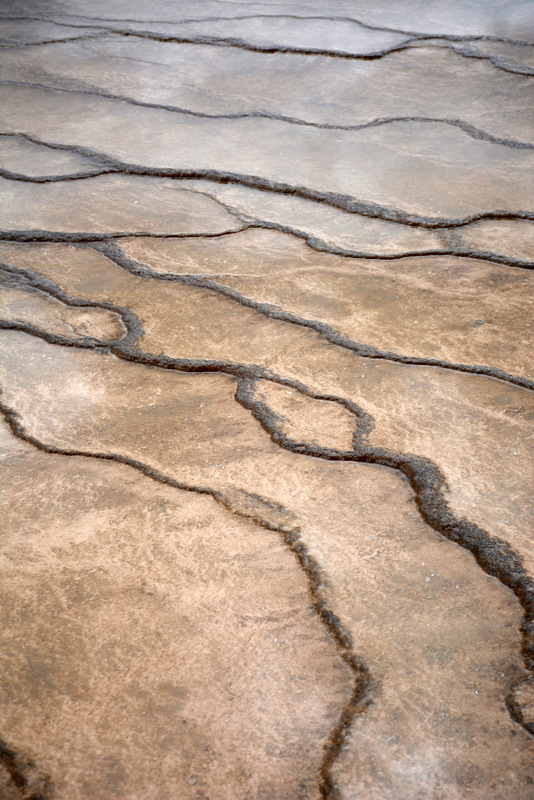 Everything is alive, even if it doesn´t look that way. 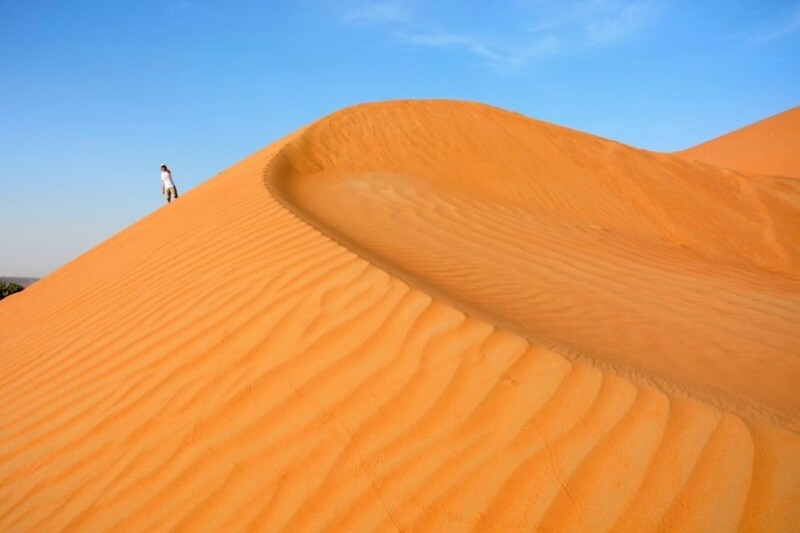 Wonderful play of nature. 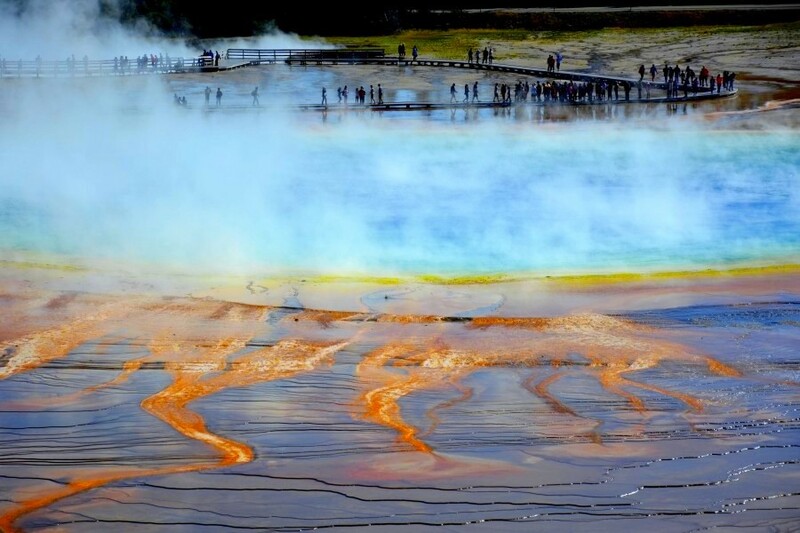 At sunny weather the colors are different than when sky is cloudy. 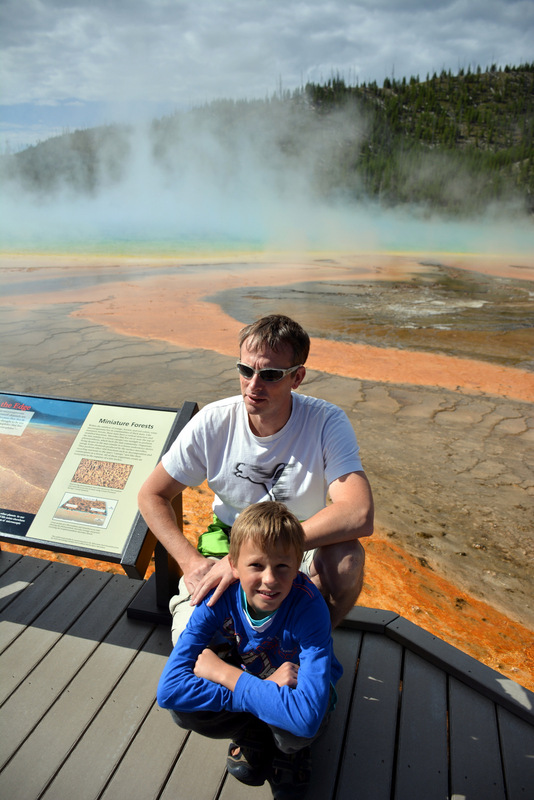 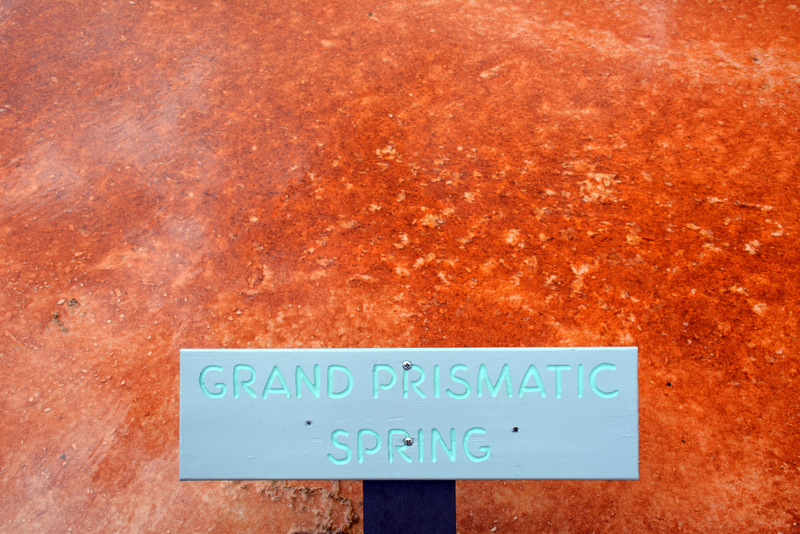 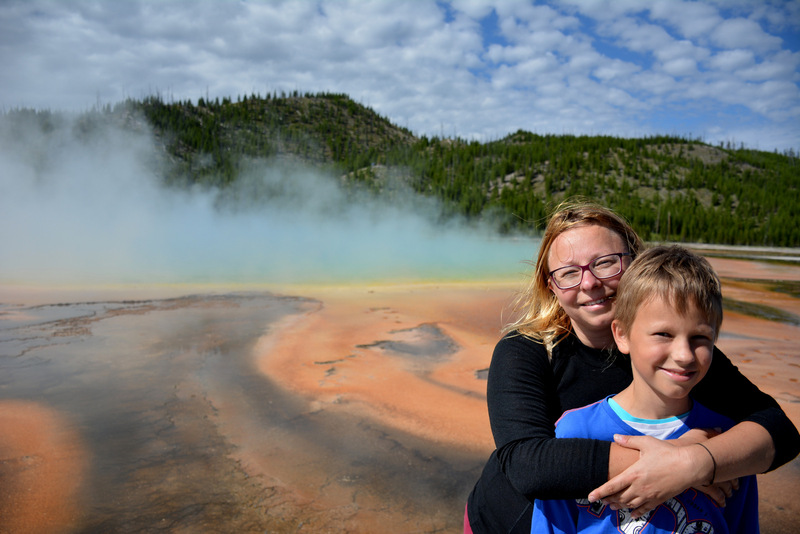 We were lucky to see Grand Prismatic Spring in both opportunities. 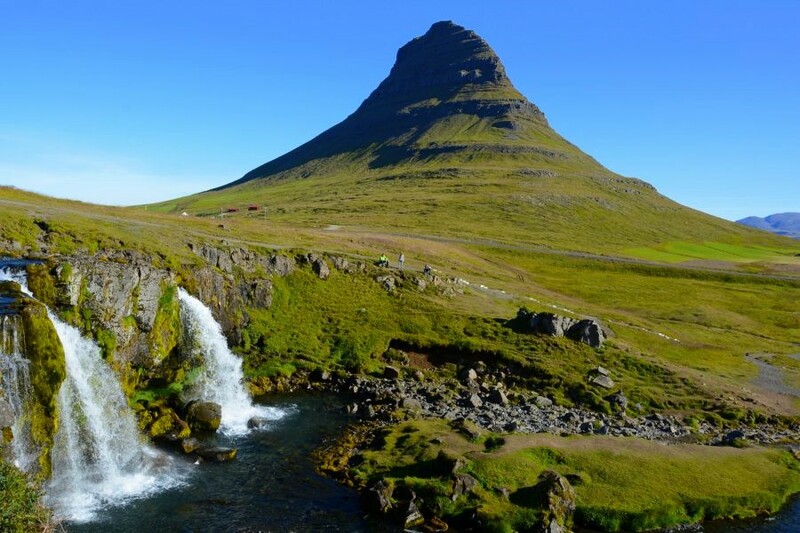 And we climbed on a hill next to it and see it from different perspective.